Budget carrier SpiceJet's stock zooms on the third day of gap-up opening as Jet Airways crashes; market expects further upside while lenders dither on rival's recapitalisation. A day after lenders could not agree on the immediate recapitalisation of debt-laden Jet Airways, the share of rival SpiceJet went through the roof with the market expecting further upside. 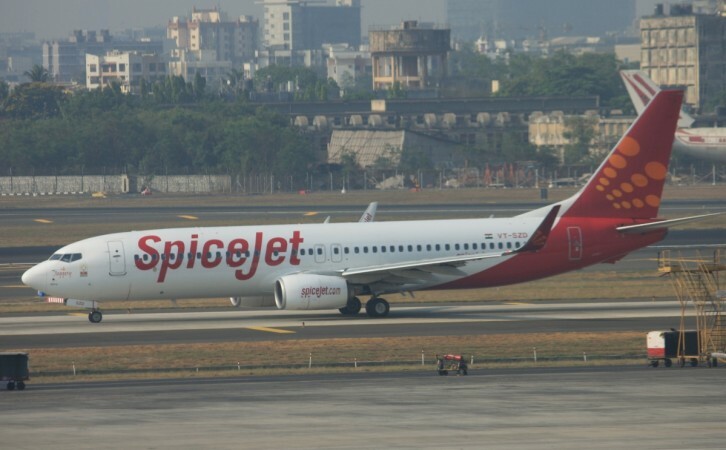 SpiceJet opened at gap-up for the third day in a row and was trading at 125.90 by noon, after setting a high of 128.80. The stock has witnessed a remarkable climb of 32.15 per cent or 34.29 per cent since its low of 93.75 on April 11. Jet Airways was trading at 252.75 at noon on Tuesday, with further selling pressure building up. The stock came off a recent high of 287 that it touched on March 27 following the exit of Naresh Goyal as chairman of the airline under pressure from the lenders whose debt resolution plan for the airline has been buffeted between competing interests. The benchmark indices Bombay Stock Exchange (BSE) Sensex and National Stock Exchange (NSE) Nifty both hit all-time highs on Tuesday powered mainly by banks, metal, auto and IT stocks. At noon Sensex was trading near the all-time of 39,277 that it touched earlier while Nifty was trading at 11,786, well above the previous high of 11,761 that the stock set on April 3. SpiceJet has been aggressively recruiting senior- and middle-level pilots and engineers, who have been deserting Jet Airways in droves. SpiceJet has been grabbing the pilots at nearly 30 per cent less the pay they get at Naresh Goyal-founded Jet and engineers at up to 50 per cent pay cut. SpiceJet and Air India Express are the only two airlines other than Jet operating Boeing aircraft. Other market competitors of SpiceJet like GoAir and IndiGo operate mostly Airbus aircraft and they consider the cost retraining any Jet staff they might take in as prohibitive. Air India Express is deeply in the red and cannot afford an expansion plan right now, making SpiceJet the sole beneficiary of the Jet Airways crisis. Jet has been delaying salaries to senior staff for several months, making it an easy decision for staff to leave the stricken airline, creaking under a massive Rs 8,400 crore debt burden. There is a widespread fear of closure of Jet as the aircraft available for operation shaving trickled down to single digits. Apart from about 20 aircraft that Jet, founded some 25 years ago, owns, the rest were on lease and have been repossessed by the leasing companies over default in payments. They have been flying the aircraft out of India for use elsewhere. SpiceJet will continue to be a stock of high market interest in the next few days until the fate of Jet Airways is settled by the lenders' consortium and the aviation regulator. The next resistance is at 140-145 which is near the high that the stock set on April 9, 2018.